1934 On December 1st, in Buftea commune, Ilfov county, Stephen Radof was born. 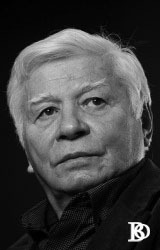 He was a Romanian actor, a screen writer and an author of many volumes of poetry. He was the son of John and Mary Radof (born Nicolae). It seems that the actor had a relatively happy childhood. He attended the primary school at “Saint Joseph” Catholic Parochial School in Bucharest. Then, he attended the Lower School of “Saint Sava” National College. 1952 He graduated External Trade Secondary School No. 2 in Bucharest, and then he worked as a clerk at RNB Ploiesti, Puchenii Mosneni subsidiary. 1953 On March 3rd, he was arrested by security, tried and sentenced by the Territorial Military Tribunal to 5 years of hard labour, because of conspiracy against the system. The actor confessed: “Now, when I remember the counts, I laugh, but then, the night when they arrested me, my first white hairs went out. My father was to the fosse, and my mother was sick, jobless and alone… “. 1958 After completing military service, Radof tried to go to the Theatre Institute (I.L. Caragiale), but three months later, because of the problems he had had with security, he was discovered and expelled. 1958–1960 During this period he worked as a cargo handler and wrappers (porter) at O.C.L. 23 August Food Shop, in Obor halls, then as a commercial officer. 1960 By the political guarantee of Radu Beligan and of the university rector, Costache Antonia, he was assumed to the Theatre Institute. 1962 He married Doina Radof (born Hossu), a former Physics and Mathematics teacher. 1964 He graduated Theatre Institute. 1965 He started his career to the theatre in Piatra Neamt, after he had won a contest organized by C.I Notarra Theatre – ruled at that time by Horia Lovinescu. After a short time, this year, too, he was transferred to Notarra Theatre. 1990–1994 During this period, he worked as an associate teacher for Theatre and Film Academy. 1992–1996 Because he was a charter member of Civic Alliance Party, this time he was elected as a Senator of Ilfov, but it seems that this experience disappointed him and he finally withdrew from the political life, and came back to his fundamental occupations: acting and writing. 1996 Over 30 years of career on the stage of Nottara Theatre, Radof retired “Even if I retired in 1996, I am still devoted to this theatre, not only for de victories I had on its stage or in the international tournaments, but more for Lovinescu who loved and defend me like a parent”. 1996–2000 During this period he was a teacher at Hyperion University, in Bucharest. Stefan Radof is the author of many publications: five poetry volumes: “The Fire Helmet”, “Iris”, “Statues on the Grass”, “The Hawk in Winter”, sketches, specialized and citizenship essays; he is the author of many screenplays and TV scenarios: “The Mistery in the Testament” – based on the short story “Tombs” by M. Sadoveanu; The Brilliant Ring” based on the novel “The Both” by Liviu Rebreanu; “The Crocodile” by Dostoevski. Radof was the winner of several awards in the country and abroad: A.T.M and critics award: in 1980, 1982, 1984, 1986; laureate of the Film Festival at “Lucarno” for the movie “Too Little for such a Big War”; laureate of Theatre Festivals in: Nancy 1969 – France, Arhus 1970 – Denmark, Guanahato 1978 – Mexico, Plovdiv 1999 – Bulgaria (for “Le Negres de Gean Genes”, directed by Frank Hofman – National Theatre in Luxemburg). 2004 On December 6th, by presidential decree, he was awarded with the highest distinction: “The Star of Romania – in the rank of Knight” by Romanian President. 2012 On March 28th, in the morning, Stefan Radof died, at Floreasca Emergency Hospital, were he was charged at ICU. It seems that the actor died because of many chronic pains. 77 years old, Stefan Radof had a career over 50 years as an actor, a screenwriter and a poet. Stefan Radof was Emil Hossu’s brother-in-law, another great actor who died this year, too, 2 months before Stefan. Created on 15 March 2013 . 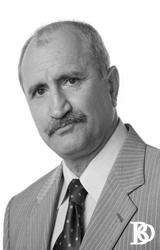 1950 On September 23rd, in Corabia, Olt county, Romanian actor Serban Ionescu was born. 1978 He graduated “I. L. Caragiale” Film and Theatre Institute, as a student of Amza Pellea. He worked for the Theatre in Petrosani and for that in Sibiu. His first role in Bucharest, was in the play called “Some peasants” by Dinu Sararu, at the Little Theatre. 1979 He made his debut in movies, as the main character in a film adaptation based on “Ion, the curse of the land, the curse of love” written by Liviu Rebreanu and directed by Mircea Muresan, the movie being considered the 80s revelation. The roles in his filmography confirm the fame he had from the beginning: “Lights and shadows” (1979 – 1982, TV series), “Burebista” (1980), “Mercenaries Trap” (1981), “The Lumberjacks” (1982), “Impossible Love” (1983), “Horea” (1984), “The Wood woman” (1986), “Mircea” (1988). After the Revolution he remarked himself because of the movies: “The Red Rats” (1990), “The Staying” (1990), “The Mirror – The beginning of the truth” (1993), “Chira Chiralina” (1993), “Too late” (1996), “Mary” (2003), “Timisoara Syndrome” (2004), “15” (2005), “Poisoned dreams” (2006), “Pacala comes back” (2006), “Beyond America” (2008). He played in Dan Chisu’s film, “WebSiteStory”, which was his debut in features (May, 2005). 1982–1992 During this period, he performed for the Comedy Theatre in Bucharest. 1992–2002 During this period he worked for Odeon Theatre in Bucharest. 2002 Starting with June, he collaborated at the National Theatre. Among the plays he played in on the stage of the National Theatre in Bucharest, famous shows, we mention: “The Film Director”, directed by Serghei Cerkasski (2002), “Murder for Land” based on the novel written by Dinu Sararu, directed by Grigore Gonta (2002), “A Lost Letter” by I. L. Caragiale, under the same direction (2003), “Sunset” by Barbu Delavrancea, directed by Dan Pita (2004). He played the role of Savelov, in “The thinking” by Leonid Andreev, directed by Felix Alexa (2005), Schwonder in “Dog Heart” based on Mihail Bulgakov – the very awarded show directed by Yurij Kordonskiy (200), the Interior Minister in “Red Comedy” by Constantin Turturica, directed by Alexandru Tocilescu (2006), King John II in “Eduard III” by William Shakespeare, directed by Alexandru Tocilescu (2008). In 2002, too, he got UCIN Award of Excellence for 2002 and the “Faithful Service” National Distinction, in Knight. 2010 On January 10th, the premiere took place, in which he participated to the alternative distribution of “Molto, gran’ impressione” show, directed by Dan Tudor (Romulus Vulpescu’s script). On April 23rd, 2010, there was the premiere of “The Cherry Orchard” by A.P. Cehov, directed by Felix Alexa, where Serban Ionescu played the role of Gaev. 2011 On February, “The Humility” movie was released, and Serban Ionescu played the main role [www.cotidianul.ro]. 2012 On November 21st, Serban Ionescu died, at Floreasca Hospital in Bucharest. The actor had been suffering for more than one year from an incurable disease. On mid August, he was initially with diagnosed with borreliosis, came back from a German Clinic where he was cared about and where he was diagnosed with amyotrophic sclerosis [www.zf.ro].